In 1993 Oldways along with the Harvard School of Public Health, and the European Office of the World Health Organization introduced the classic Mediterranean Diet and the Mediterranean Diet Pyramid graphic to represent it visually. The pyramid was based on the diets of the Greek island of Crete, the rest of Greece and southern Italy circa 1960. At that time the rates of chronic disease in those areas were among the lowest in the world, and life expectancy was among the highest. 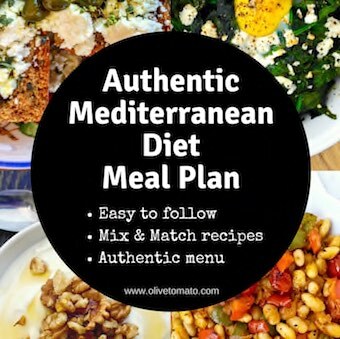 Four years ago, Oldways and the Mediterranean Foods Alliance wanted to honor the Mediterranean Diet in a special way and developed National Mediterranean Diet Month, which is celebrated in May of each year. Here at Olive Tomato every month is Mediterranean month! I share recipes, research, nutrition information and my personal experiences with the Greek diet, the diet I grew up with. Why did I start Olive Tomato? 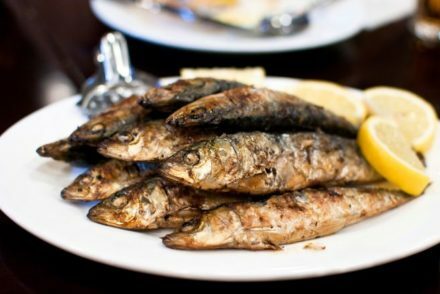 As a Greek-American dietitian working in the US, I realized there were misconceptions about the Mediterranean diet and particularly the Greek diet. So I wanted to set the record straight. You can read more about my story here. When I moved to Greece, I realized that the Greek diet that I followed growing up in the U.S. was disappearing in its birthplace, and people living in Greece were eating a more westernized diet. I wanted to change that and bring the Greek diet back into the picture. For Mediterranean Diet month I invited Greeks that know and work with food; Greek dietitians, chefs and other professionals to share their thoughts about the Greek Mediterranean Diet. I will be featuring posts with their stories, advice, and articles throughout the month of May. Stay tuned for tips, advice and valuable information from the heart of the Mediterranean, Greece! 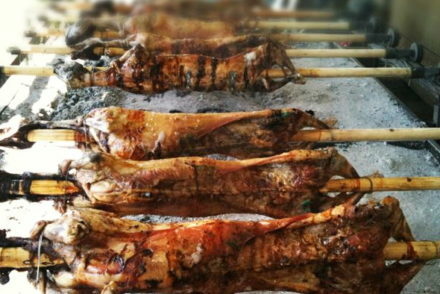 As a Greece lover, more or less every year to Crete once, adopt the Diet. For two reasons: 1 business wise, because I start 1.5 year ago a small import company with only products from Mediterranean countries. 2. I follow your blog already two years and use regularly your recipes for our own meals. And link your posts on our Facebook page for reasons that you promote the Diet and we too. We are convinced about the use of Mediterranean products. 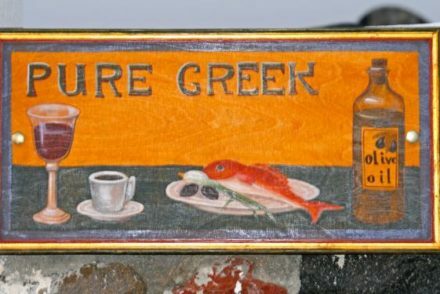 In the past I work for a company on Crete. The knowledge we present was only the Diet information for explanation our foreign customers the care involved in the Diet. Your statement in on page is amazing. I want to ask or we allow to use it in our approach into the new website. Because I one eye you see the purpose of the diet and its so obvious clear that its helps to prevent obese and other illnesses. Look forward to your reply. With kindest regards. Im from Holland.